Pleurisy is a medical condition. It affects the lining of your lungs and chest. The lining can become inflamed or irritated. This happens when excessive fluid collects in the “pleural space.” Typically, there is a small amount of fluid in the space. This is normal. The condition causes chest pain. The main symptom is chest pain. It can be sharp and sudden. It is painful to cough or take a deep breath. Ongoing chest pain is common. Shortness of breath is common too. You might develop a fever or other aches. More symptoms depend on the cause of pleurisy. Blood test.An infection may show up in your blood. The test also can detect autoimmune disorders. This includes rheumatoid arthritis or lupus. Pleurisy could be a symptom of both conditions. X-ray.Your doctor can use an X-ray to get a picture of your chest. This will show if there is something in the space between the lining. There may be air or gas in the area. That condition is called a pneumothorax. Lung disease or a lung injury can cause this condition. Ultrasound. Your doctor may use sound waves to get a picture of your chest. The view may detect a pleural effusion. You can get this when fluid builds up in the pleural space. Computerized tomography (CT).This checks for other causes of pleurisy. A chest CT may find a blood clot in the lung. This condition is called a pulmonary embolism. It also could find hemothorax. This occurs when blood gets in the pleural space. It can be caused by a chest injury, chest surgery, or lung cancer. Electrocardiogram (ECG or EKG).This test will help your doctor rule out heart problems or defects. Fluid removal. This is a procedure performed in your doctor’s office. Your doctor will apply a numbing medicine to the skin around your chest muscles. He or she will insert a small needle into that area to collect fluid. That sample will be sent to a lab. Can pleurisy be prevented or avoided? Treating a bacterial infection (early) may prevent pleurisy. It is more difficult to treat a viral infection. Finding and treating other causes of pleurisy may help. Pleurisy treatment depends on the underlying cause. Your doctor may prescribe an antibiotic for a bacterial infection. He or she may prescribe an anti-viral medicine if you have a viral infection. For most viral infections, the infection will have to run its course. If your pleurisy is caused by something else, your doctor will treat that cause. You can ease symptoms with over-the-counter medicine. Acetaminophen (Tylenol) or Ibuprofen (Advil, Motrin) can reduce pain and inflammation. Cough syrup can control excessive coughing. However, don’t stop coughing. This can cause pneumonia. Rest (lying on your painful side) can help. In rare cases, surgery may be necessary to remove fluid buildup. Discomfort is the main factor in living with pleurisy. You will have ongoing pain until the infection goes away or another cause is treated. Try to slow down and take it easy while you have pleurisy. Don’t do any activity that will cause rapid breathing or excessive coughing. 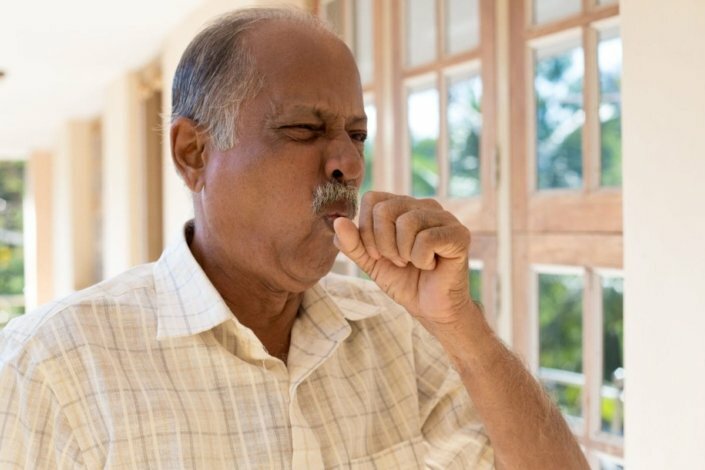 How can I tell if it is pleurisy or a common cold? Who is more likely to get pleurisy? If I got it once, am I more likely to get it again? Learn about the symptoms of and treatments for tuberculosis.